I've been laid up for a few days with a nasty virus which has been doing the rounds. It is remarkable what a degree change in body temperature can do. I could barely get out of bed and even hydration, despite a big jug of homemade lemonade, was a struggle. Last night a change came through, dropping the temperature, bringing some rain and disturbing the stillness. A blind on the half open bedroom window rattled persistently beyond my reach, the darkness knocking, and feverish I all but sat up, remembering Heathcliff, to call out: "Who are you?" 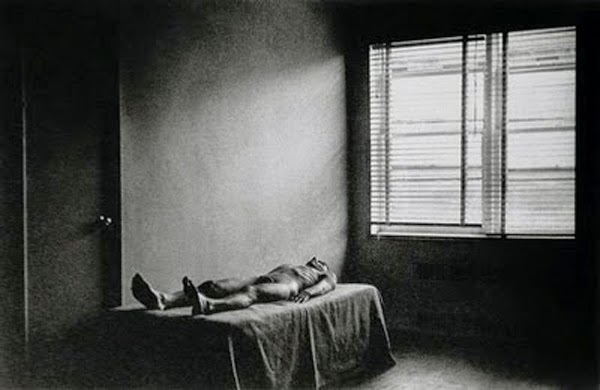 I've not ever been all that attached to this body, nor believed it was me or I it. At times I wish I could just unzip it head to toe and escaped the silly shell, once and for all, and get on with whatever cosmic business there is to get on with. 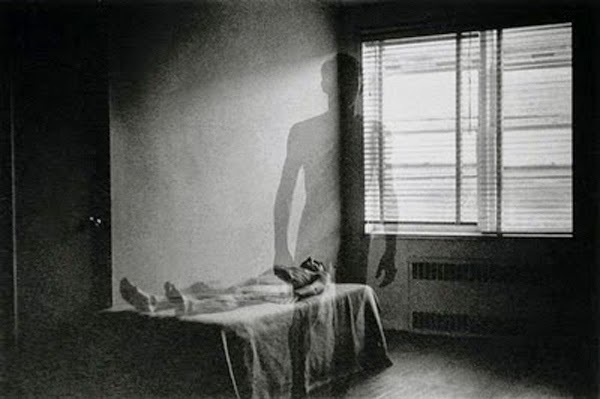 There's a classic series by the great American photographer Duane Michals showing the spirit leaving a body. That the spirt looks like a body is no slight oversight, but the concept is fun. I tried it out, rather crudely. It's a matter of having a long exposure and varying the time the moving component of the shot is in the frame. I remember your accidental image in the train window. This is convincing. Love the shutters. Sorry for your unhealth, warmest wishes for a speedy recovery. Somehow, though, this enforced retirement for a while does certain work, don't you think? Thank you kind David; well on the mend. And yes, there is something about time out: those days and nights of wandering thoughts, half dreams, and perhaps some truths otherwise suppressed coming to the surface. That's a bit dispiriting, isn't it? Well that makes you in the majority M, dispiriting in itself. I wondered if your beliefs had been cross pollinated. Illness is such a waste of time, generally, and little illnesses are insult upon injury. 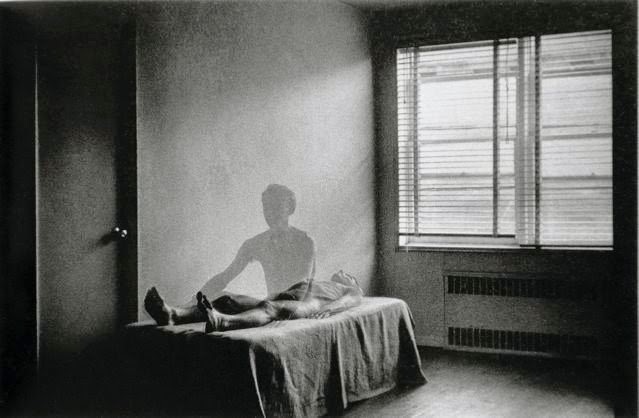 I like the idea of going out of body. Would that it were possible at such times. I hope by now you are well and stay well for a good long time.